What is Biometric authentication ? Biometric authentication a method of authenticating a persons individuality using your features mainly the fingerprint to logging you in an examination, an app, a tool or so on. This confirms your identity based on your body capacity and one additional thing added to this feature is that it utilizes the data to contrast you against a record and enters your data in a service as required. Statistics are a part of the norm in the financial sector and what do financial institutions have to do to safeguard their customers and their businesses? Technological change is impacting every aspect of life and it is evident with the increased dependence and use of mobile devices. As more information is generated and stored in the cloud, on computers and even mobile devices, it is important to safeguard personal information. But striking a balance between easy access and security can be a bit of a challenge for everyone. 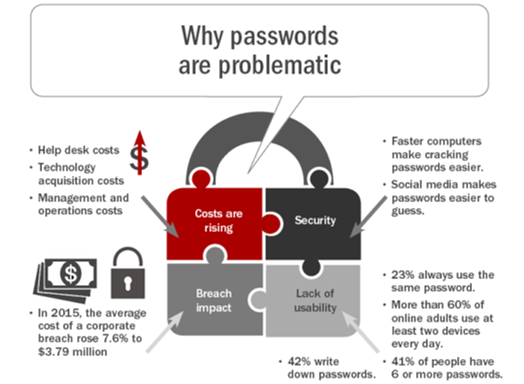 It is not easy to remember more than five or six passwords at any given time. In this digital age, the use of biometrics provides us with an efficient and user-friendly way of ensuring top-notch protection services. Consider this fact – global spending on Biometrics in the banking and financial sector is expected to cross $9 billion by 2024. The use of biometric authentication in the banking industry against a backdrop of fraud and security breaches is on the rise and a good development for many reasons. Things such as iris scans and fingerprints are unique to each person and offer the best possible security measure when compared to passwords. Passwords can be obtained by sharing, phishing and even hacking while biometrics signatures of an individual cannot be replicated. Here are some reasons why biometric authentication is expected to transform the banking sector as well. Experts suggest that people change their passwords frequently and use a combination of numbers and symbols for each account that they access. Most people use dates, names and other information which is easy to remember but can be hacked easily. Using biometric authentication can change this completely. News of data breaches has become very common and the increase in mobile devices is exacerbating the problem and will continue to do so, unless changes are made. Biometrics, while not fraud-proof, provides a larger measure of security. Mobile app development companies are working with authorities in the financial sector to devise multi-factor authentication which is easy to use and is also hack-proof. Biometric security elements like fingerprint and voice recognition can be developed to work on different devices. Switching completely to biometrics could isolate a number of customers, which is why banks use a hybrid approach. Using devices with a pin and an iris or fingerprint allows for higher accountability. Continued research is being done to make biometrics accessible and easy to implement, beyond devices. Studies show that over 90% of customers in the financial sector want to use biometrics but so far only about 13% have implemented some features. Quite a few feel they don’t have -adequate experience or are confident in dealing with biometric security features as the requirements keep changing. Enhanced security measures make consumers feel a lot safer and more amenable to adopting new technology as it keeps their money and personal data safe. On the flip side, adoption of such measures by banks and customers reduces the workload on banks to a large extent and is a great time saving measure. The transition to a cashless society is becoming a reality much faster than expected. 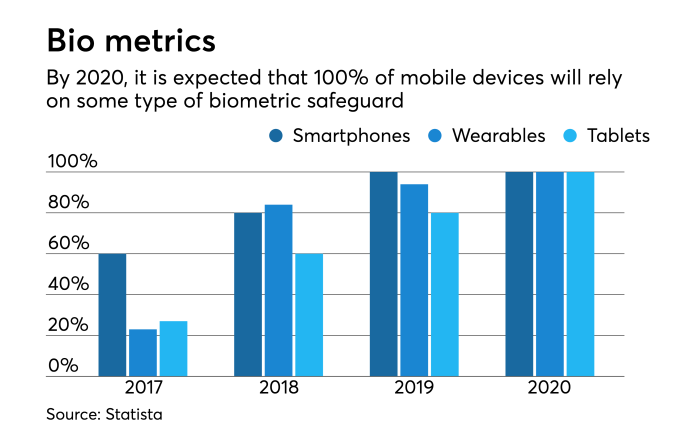 The need for biometric security has gone up a lot since the financial crisis of 2008. Many a mobile app development company is working on developing software applications in the financial and regulatory technology to not just automate compliance but also regulate activities at every level in the finance as well as other industry sectors too. With the deployment and use of fingerprint technology and facial recognition systems on iOS and android phones, companies are investing time and money to explore cross platform app development with biometrics. Smartphones today use fingerprint recognition and this technology is easily integrated to unlock a banking app and authorize payments. This is very convenient and far more user-friendly than using passwords. Biometrics also help in safeguarding sensitive customer information from employees and prevents phishing. Many more people are making the digital shift and using their phones to conduct banking related transactions. Over 50% of users are comfortable with the available authentication technology. According to projections, the biometric market is expected to touch $24.5 billion by 2023 and close to 2.6 billion users. With cyber-criminals becoming more sophisticated and adjusting their tactics to breach databanks, regulators and software developers have to figure out what works best. 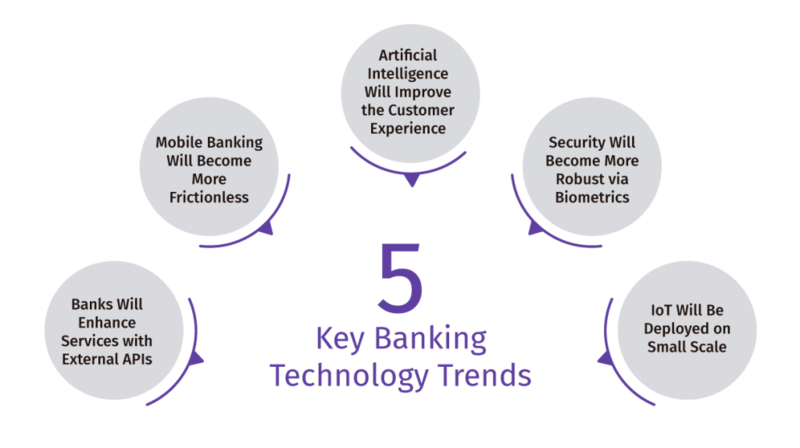 Here is a look at some of the trends which could take place during the next few years and how biometric authentication technology will impact mobile banking in particular. Other modalities like voice, heartbeat and facial recognition can be used as a part of the enhanced security process for a new and better user experience (UX). PINs, passwords and touch ID will no longer suffice. Many institutions are considering various combinations to make it difficult for hackers to penetrate a firewall and gain access to personal information. Two or three factor authentication processes is under consideration. However,- it will be a while before current manual login processes will be phased out completely. One important factor to consider is the security related to such systems. Whether it is for iOS app development or Android app development, templates are created and used to carry out authentication. These have to be encrypted end to end and information with regard to authentication keys cannot be saved or stored on the server or the device in use. Overall system security related to logins will depend on how secure a device is. Surveys done after the implementation of biometrics for mobile banking has garnered positive reviews from customers. By getting rid of frustration related to remembering passwords and the easy use of mobile banking apps, 86% of users are positively inclined towards biometrics. Over 20% of customers check their accounts and make payments with biometrics enabled on their accounts. Consumers are also becoming aware of the need for security and biometric use is becoming a familiar presence. Since mobile users already have to scan their fingerprints to use their phones, the transition to apps to carry out tasks related to banking is not that difficult. Biometrics also help in encouraging positivity towards brands which offer the latest technology and security to their customers. More than 75% of users are in favour of biometrics and are of the opinion that their information is more secure. These users are also comfortable trying out new technology if it keeps their information safe. According to reports shared by Spiceworks, approximately 90% of global businesses will adapt to biometric authentication technology in some form by the year 2020. Current data suggests that almost 62% of businesses worldwide have already migrated to biometrics. Regardless of the ascending trend in biometric technology, the financial sector is still trailing behind other industries. There is no doubt that biometric technology is not just powerful, but it is also disruptive. Millions of customers have eagerly embraced this technology to keep their data and money safe. Biometrics also offer a good balance between security and convenience. Whether one uses mobile apps or ATMs, transactions can be carried out from anywhere, any device and at any time. It eliminates the need for passwords and no special equipment is needed to carry out transactions. 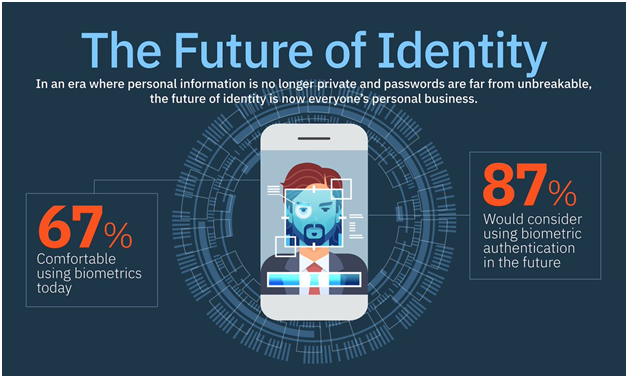 Thanks to technology and a more connected world, biometrics are not only effective but also a sustainable method to prove identity. Biometric technology is expected to become more accepted and popular. It would be interesting to see what will develop in the future and how technology will evolve to address banking and customer security needs. 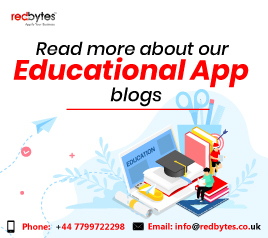 It will also be interesting to see how app development companies develop software for each issue and how changes will be implemented in the foreseeable future.